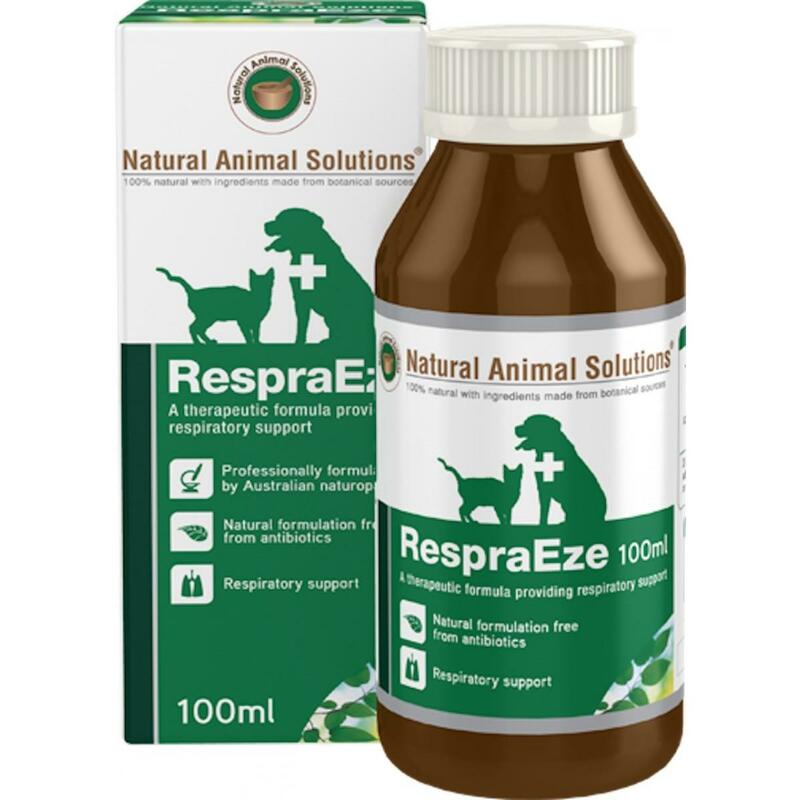 Natural Animal Solutions RespraEze 100ml is carefully formulated to assist animals through the coughing period of the Kennel Cough disease. Are you worried about your pet’s breathing or respiratory health? If so, it may be time to act. Coughs and respiratory issues can be spread quickly and easily. Airborne bacteria and viruses spread through instances such as minor contact at the local park or kennel. RespraEze is a safe and easy to use nutraceutical grade formula designed to deliver effective support for the most common respiratory issues. RespraEze has been formulated with key ingredients containing bio-dynamic herbal extracts, designed to provide maximum effectiveness for your pets in a very short time. Made from 100% natural ingredients, it is suitable for cats and dogs. Tell me how to use a 3.2kg dog. The recommended dose for dogs up to 5 kg. is twice a day 0.5ml doses.